Inside Out is less than five months away from it's North American release (June 19, 2015) and as all the final pieces are falling into place, we're getting glimpses of the film, product announcements and even sneak peeks at the final score. 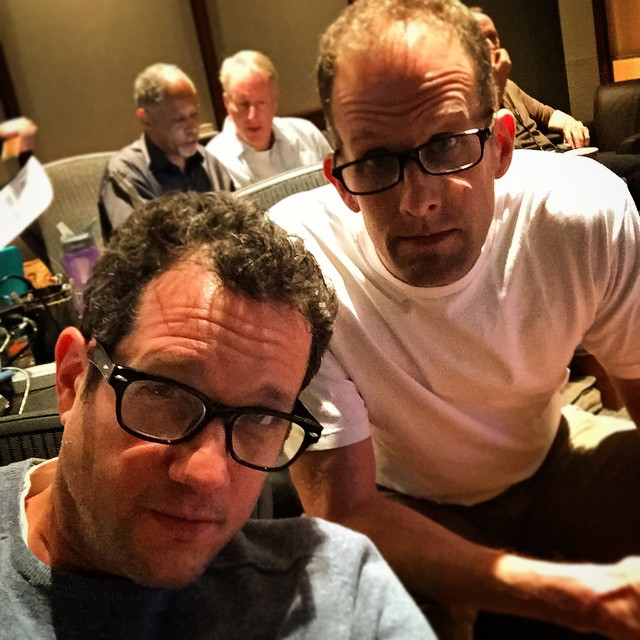 Today, famed film composer (and Pixar veteran composer) Michael Giacchino posted a few photos and a video with Inside Out director Pete Docter at the Warner Eastwood Scoring Stage. In the video shown below you can even hear a sneak peek of the Inside Out score behind Michael's...uh...snoring! I guess there's no better time to catch some shuteye when you're exhausted! 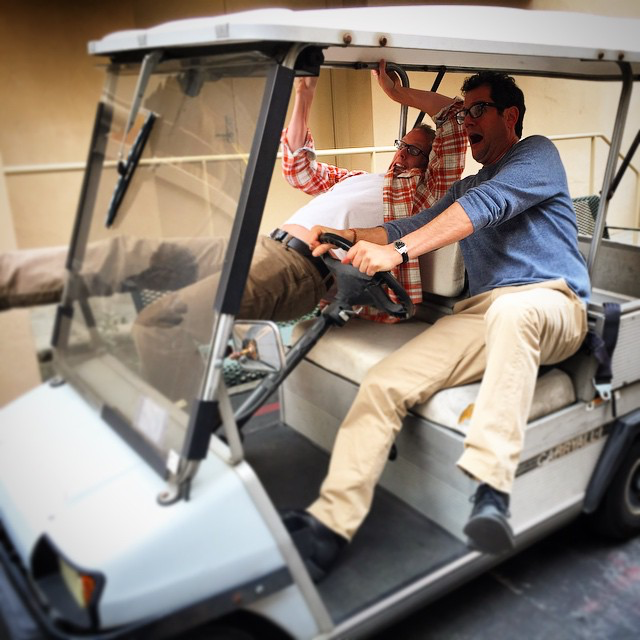 Thanks to Nick S. for the heads up on Instagram. 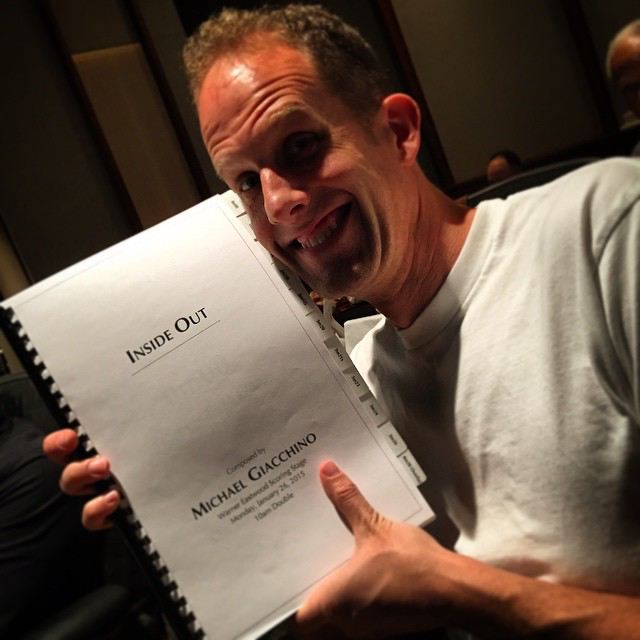 Our Pixar Post Forum user mynameiskhannie just posted an incredible article from one of the studio musicians working on Inside Out. It's a detailed 'inside' look at how the orchestration is conducted for the film and it's completely spoiler-free! "First thing Monday morning, Michael Giacchino (the film's composer) went up to the podium with Pete Docter (the director) and his colleagues to greet the orchestra and tell us about the film. Pete started by telling us the general storyline, then talked about his own daughter (who had a speaking part in UP), and the way kids grow up. He then wanted to show us the film's opening before we started recording.."
To read the full article visit the Pixar Post Forum.